Tomorrow marks four years since Ephraim legally became part of our family. I am always blown away when I think about how long he’s been with us. On one hand it seems like just yesterday and on the other hand it feels like he’s always been here. 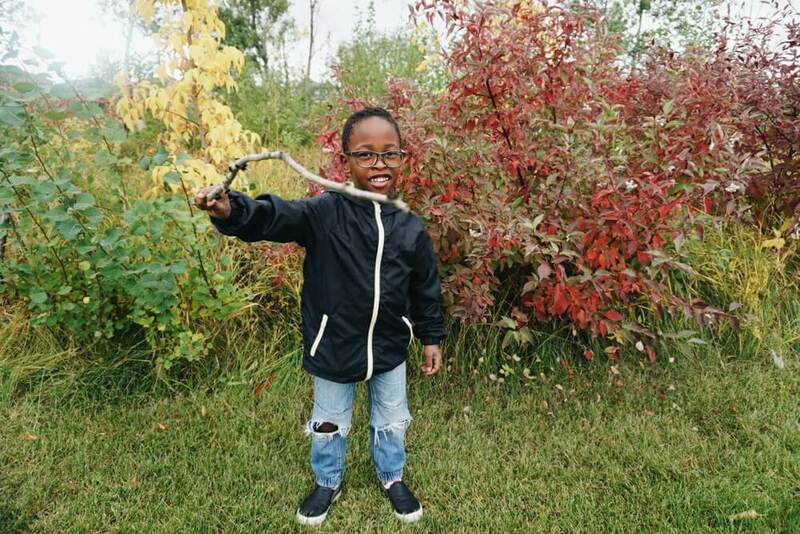 I’ve been wanting to write a post-adoption post for a long time and the weekend of his adoption anniversary seems like the perfect time. When we were going through the adoption process I followed a lot of other couples in the process, both on social media and their blogs and I noticed an annoying trend: whenever they would complete the adoption process they would stop blogging. As our journey dragged on (you can read our whole journey here) we saw couple after couple complete the process while we were still in the middle of it. I would follow them online for months or even years and then when they finished their process it seemed like they were never to be heard from again. 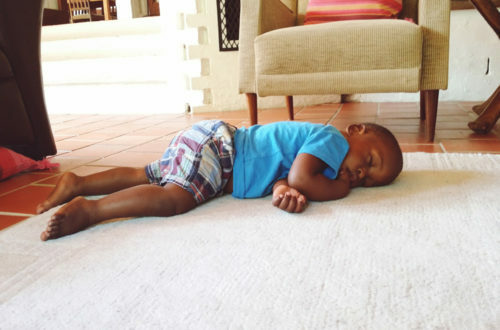 Then we completed Ephraim’s adoption and I totally became one of those people. 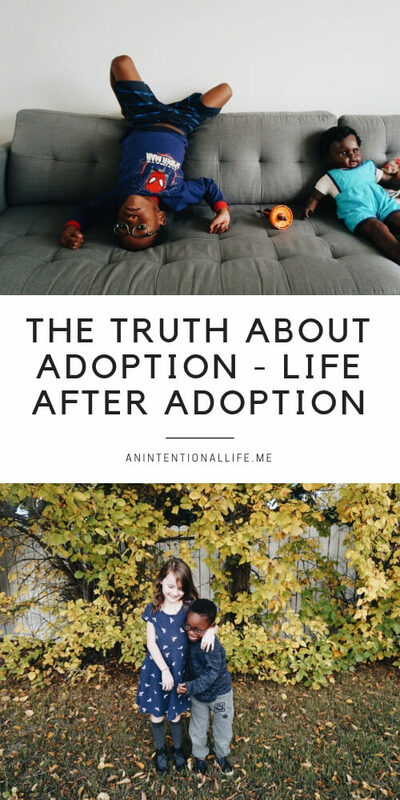 I still posted to Instagram and still blogged, but not really about adoption. For me, it really felt like all my life God had given me the desire to adopt. It had always been on my heart and it had always been Africa. During the journey when we hit brick wall after brick wall and we came back to the drawing board to figure out which country we were going to pursue next it always had to be a country in Africa. From Ethiopia to the Democratic Republic of Congo (twice) and then South Africa, it was always Africa. 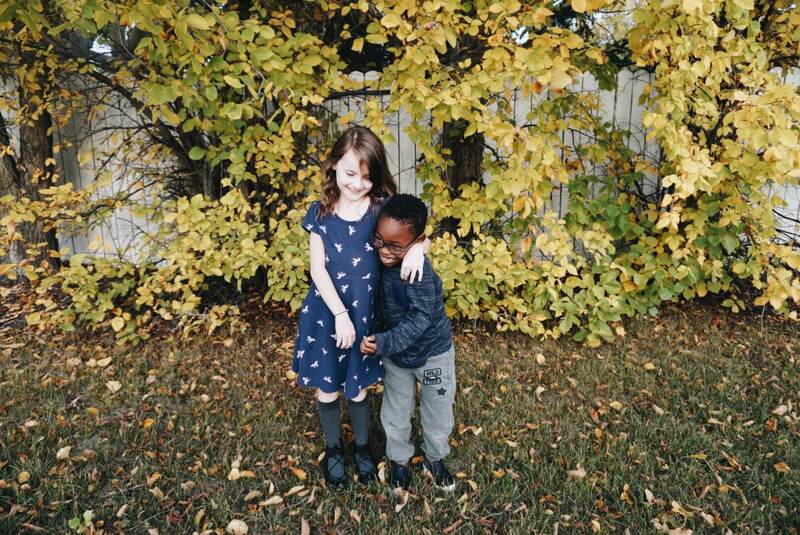 Then, when we came home with Ephraim it honestly felt like that huge desire and love for the continent went away. I really can’t explain it, after loving Africa for half of my life it felt weird to feel so neutral about it. Honestly, it felt like God had given me that huge desire to make sure we adopted and after the process was complete it was like God was saying the purpose had been fulfilled, it felt like He took the desire away. With that gone it seemed as though a big part of my identity was gone. I had always had such a heart for the orphans in Africa, I spent time reading about it, advocating for them, doing all the things and then it all stopped. It was for that reason that I didn’t really blog after we brought Ephraim home. But, I feel like it’s not really fair for those who followed us through the journey to just leave them hanging like that. And while this post may be about four years late, it’s here anyway. For the rest of this post I’m going to interview myself, asking the questions I wanted answered from other families years ago. If you have any other questions after reading through, ask me in the comments at the bottom and I’ll do my best to answer them. Edited to add: apparently I wasn’t as terrible at blogging after the adoption as I initially thought. I did have share six month, nine month and one year updates. 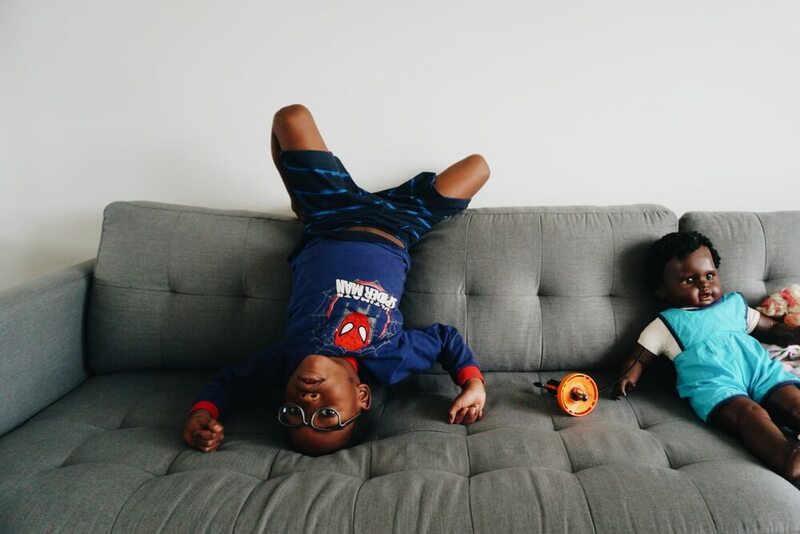 SO, WHAT IS LIFE AFTER ADOPTION REALLY LIKE? MAYBE START WITH ATTACHMENT. When we were filling out the paperwork and meeting with an adoption social worker they talk a lot about attachment. It’s something that is pretty much given when you birth a child – you are right there, you are bonding from the first minute they are born, in adoption you have a lot of time to make up for. Our adoption worker wanted us to be prepared as possible and I feel like we were given a lot of worst case scenarios, even my own online reading left me coming away with a lot of horror stories. I know it is good to be prepared but you also want some hope in the midst of your paperwork pregnancy! So, we prepared for the worst. And honestly, we got the best. From the second day we spent with Ephraim it was like he knew he belonged with us. We spent the second day with him at our B&B and when we brought him back to the home for night I remember him just sitting in Jared’s lap instead of playing with the kids. I’ve asked myself a lot about why attachment was so easy for us/him when it has been hard for so many others. He was 18 months old at the time, so he was young but not newborn. I think there are a few factors that helped: his love language is physical touch – which means a lot of snuggle time, great for bonding! I think his experience in the children’s home made a big difference too; it was a small home with only a couple caregivers, in a semi-remote area and they didn’t have a vehicle big enough for all the kids so the only time he ever left the home was for doctor’s appointments. Related to this: he was a preemie and very small when he went into the children’s home so he got some extra love and attention. To be honest, I don’t think the easy of attachment had anything to do with us and was more to do with Ephraim’s personality and experiences in his first year and a half. IS ADOPTION REALLY THE BEST ROUTE? Adoption starts with loss. In an ideal world adoption wouldn’t be necessary, but we do not live in an ideal world. I think this question needs to be answered on a case-by-case basis. Sometimes it is not the best route and other times it is. I often think about the alternative for Ephraim. In South Africa before a child can be adopted internationally they need to first make sure the family cannot be located. Then they make sure there is no one domestically that will adopt the child. International adoption is a third option. Had we not adopted Ephraim when he turned two he would have left the small children’s home he was in and gone into one for kids 2+. There he would have stayed with very little chance of ever being part of a forever family. I am fairly confident in saying that in this case, it really was the best option. HOW IS HE SETTLING INTO YOUR FAMILY? Um, amazing. He fits in 100% and he is the silly light our otherwise fairly serious family needs. WHAT HAS BEEN THE HARDEST PART ABOUT ADOPTION? The journey! That was hands down the hardest part. Other than that, maybe just that we don’t have any family medical history. It’s information that would be helpful. WHAT WOULD YOU WANT TO TELL OTHERS WHO ARE WANTING TO ADOPT OR ARE IN THE PROCESS? Make sure the agency you are working with and their in-country workers have the child’s best interest in mind. We left an adoption agency because we found out that their in-country worker was trying to traffic their own niece and nephew. As a result we lost about $10,000 and about a year of time. Also, another thing I would want people to know is that it is worth it. That doesn’t mean it won’t be hard, but don’t give up! Last thing: if you are adopting internationally: don’t let the cost scare you. 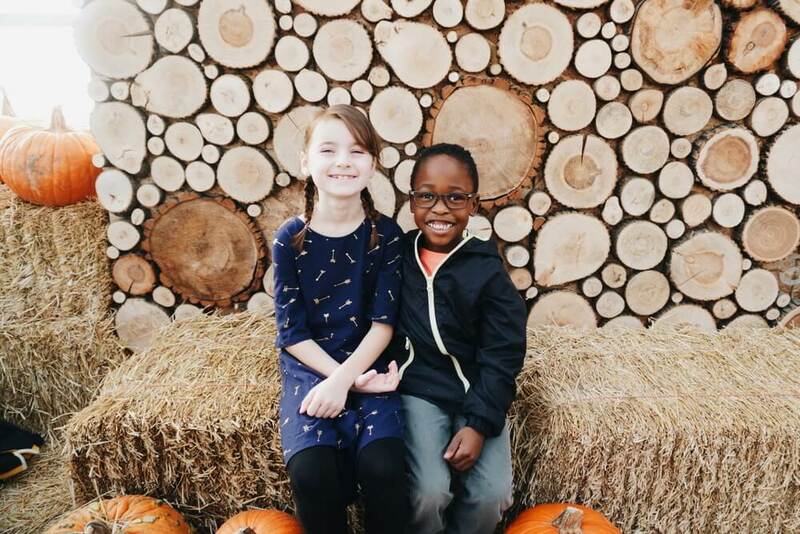 At the beginning there was no way we had the money to complete the adoption. Actually, we had just used all our savings to take an unrelated trip to Uganda. So, we started with no money and it ended up all coming together. I know seeing the dollar signs can be overwhelming, but it’s worth it. I think that’s all I can think of for now – let me know if you have any other questions! Also, you can check out this post I wrote a couple of years ago where I answered some adoption FAQ’s. The dollar signs definitely are intimidating, but even more so is the amount of paperwork and the entire process. It would be something we would need to consider when we are done having our own kids. Thanks for sharing your journey! Oh, interesting! There definitely is quite a bit of paperwork but it never felt overwhelming, the list was always very clear on what we needed and it was often broken down into different paperwork needed for each step along the way, which was helpful with not feeling bogged down.